The standard photo release form is a document that is designed to grant permission for a photographer, who has taken and produced images of an individual, by the individual, so that the same photographer, may use the individual’s images and liknesses for the photographer’s own use and self promotion. 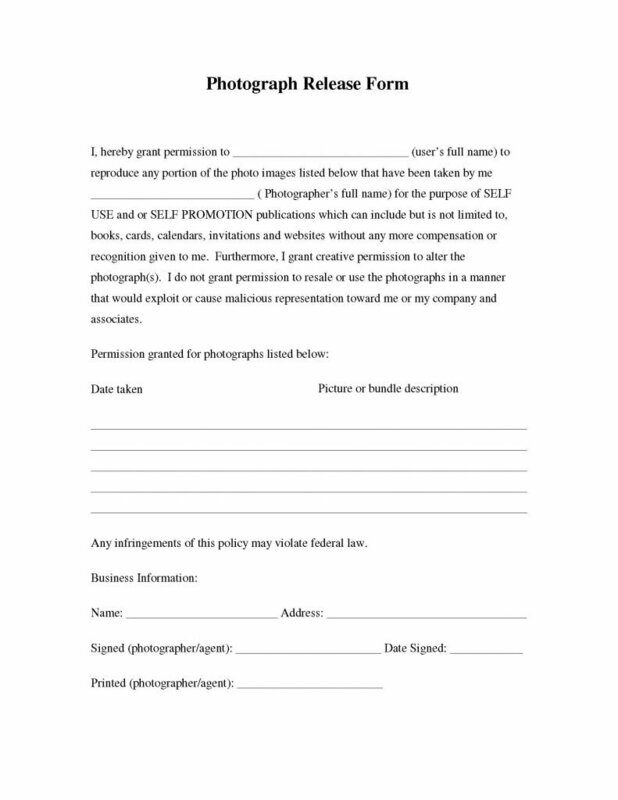 This document will allow permission for a photographer to make “creative” alterations to the images, however, the photographer will not be granted any permission to use or alter the images in any fashion that could be construed as malicious or exploit the subject of the images in any way. The photographer will not be granted any permission to misrepresent the subject of the images or the company that would represent the subject. The document will allow permission to use only specific images that are stated by the subject in the document. No permission will be granted by the subject for any other images. 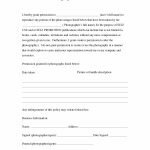 The photographer should be clear in the understanding that if the photographer would infringe upon any part of this agreement, they may be responsible for a violation of federal law. Step 2 – Begin by entering the photographer’s name in the first two lines of the first paragraph. The subject (and any representatives) must carefully review the entire document prior to provision of signatures. The date in which the images or bundle to be used were taken in mm/dd/yyyy format. Once the release has been completed, copies should also be made for the records of the all parties involved.